Kung Hei Fat Choi and may all RYLArians have a Great Year of the Rabbit! The experience you are about to earn in the next four days might be familiar or unfamiliar to you, but let me tell you, everything comes with a new fresh perspective; a perspective that enables us to visualize this world positively and makes us optimistic about our future. 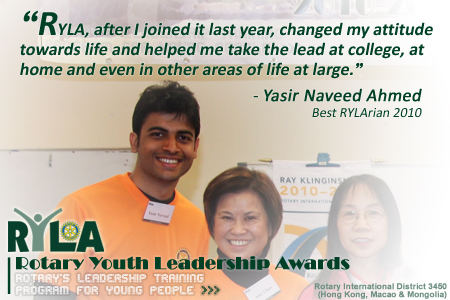 RYLA, after I joined it last year, changed my attitude towards life and helped me take the lead at college, at home and even in other areas of life at large. I was selected as the Best RYLArian and represented District 3450 at International RYLA last summer in Montreal, Canada. It was a great international experience! 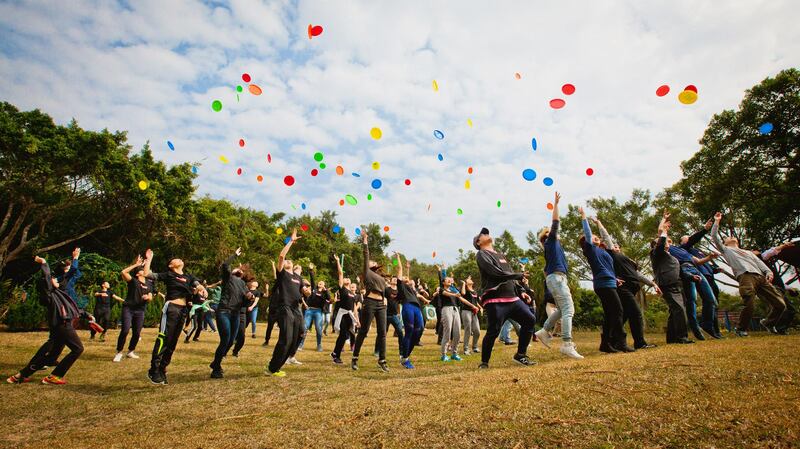 We had 120 people from 30 different countries in the camp. It made me realize how similar we are. If we could just treasure the cultural differences among ourselves, this world would become a much better and peaceful place. Let me tell you a secret… Being selected to join this camp is an indication that you are the Best RYLArian. The rigorous system of selecting the best community youth leaders enables the selection committee to provide the most prospective individuals that are needed for our society in future. A RYLArian must not be someone who knows everything, she should be the one who doesn’t know much but is always ready to learn; especially in the next four days.